Lucinda and Jim Leaman are a husband and wife team that have been making pottery since 1983. Now retired, they have turned their passion into a business, Leaman Pottery, specializing in functional pottery for everyday use to enjoy. "Our goal is to create beautiful one of a kind pieces that you will fall in love with. Our creative process begins on the wheel, throwing clay into sculptured pieces, and then creating rich colorful glazes that you can only get from a master potter. Our creations are one of a kind and truly meaningful pieces that will enhance your home or display." 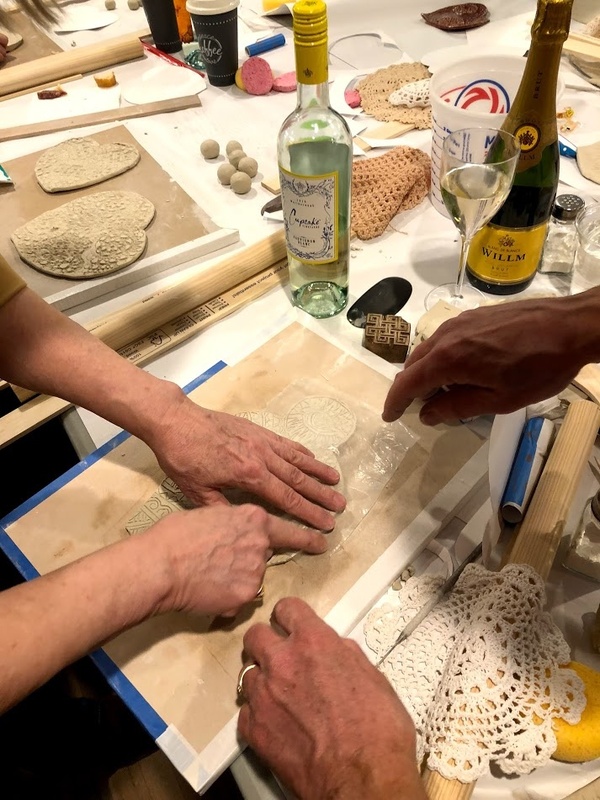 Wine and Clay Class. Now accepting registration. Check out the brochure by clicking the "Classes" tab above or sign up by going to "Classes" in our Online Store.